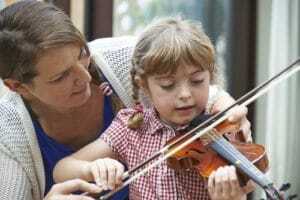 What is the best age to start violin lessons? 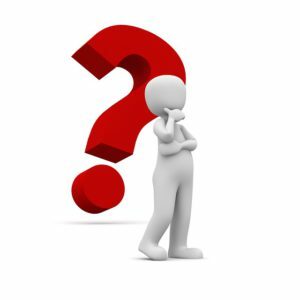 This is a question that I am asked time and time again and one that I cannot answer either quickly or accurately without knowing you, your child or the ins and outs of your everyday lives. 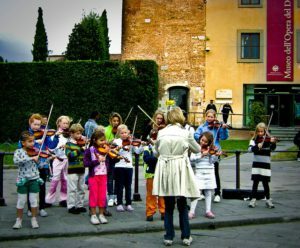 In the following article, I’m going to discuss my experiences with teaching very young beginners, and in particular, what you need to consider before enrolling your young child into violin lessons. About a month ago, I met with Jennie and Andrew who’s little boy had only just turned 3. Taylan was a cute little guy who loved dinosaurs and monster trucks. His parents had both learned piano when they were in high school and wanted Taylan to start formal violin lessons as soon as possible. Jessica, one of my current 12-year-old students also came for an introductory lesson at the tender age of 3. She was extremely shy and a completely different child to the confident and competent young violinist I continue to work with today. Jessica’s mum, Cathy wasn’t musical in any way but wanted to give Jessica the best chance of musical success in later years. Both Jessica and Taylan presented as intelligent and full of potential and although I began lessons with Jessica a week after meeting her, I advised Taylan’s parents to look into a kindergarten music or dance class and come back to me in a year or so. So why the difference? What was it about Jessica that made me feel that she was ‘ready’ to start. There are so many factors that go into my decision to take on a new student and these are very rarely linked to age. Am I aware of the hidden costs of learning an instrument? Can I commit to being a violin parent? Is my child mentally ready? Do I have the patience to work through difficult and/or boring patches? Have I found the right teacher? Although each of these questions is pertinent if you have a child of any age, they are particularly important for the parents of a young student who will need far more support and external motivation than an older beginner. energy which must be invested in order for adequate progress to occur. Young children cannot take responsibility for their learning; they need a committed and motivated adult to work with them every day. If you cannot provide this, then starting before the age of 7 or 8 is not a good idea. No matter the age that you begin your violin journey, you’re going to need to invest time into attending lessons and practicing each day. For potential young beginners, I always ask which parent will be responsible for supervising daily practice. Not only do children need reminding about their practice commitment, but in the first 6 months at least (longer for very young students) an adult is required to ensure that correct technique is being observed and practice is goal oriented and purposeful. Can You Commit To Being A Violin Parent? When I met with three-year-old Jessica, I discovered that Cathy was a stay at home mum with no other children. She was able to commit to attending lessons on a weekly basis and then supervise daily practice to ensure that Jessica was playing in a way that would help, rather than hinder her developing technique. Jennie and Andrew, on the other hand, were parents not only to Taylan, but also to a pair of 10-month-old girls. To attend lessons, Jennie would need to bring the twins who would no doubt need attention and care during the lesson. As well as distracting Taylan, they would distract Jennie from listening and participating. Neither Jennie nor Andrew were in a position to concentrate fully during Taylan’s lessons and therefore would not have been able to knowledgeably guide his practice sessions at home. Very young children need a lot of assistance during their lessons and during their practice. While a good teacher will enforce correct technique, this is not enough if it is not followed up at home. To practice alone in the beginning stages is often detrimental to secure technical development and can do more harm than good. If you are not able to attend lessons regularly and assist your child with daily practice, it is best to wait until your child is older and more mature to begin formal lessons. In my experience, most children are able to learn and practice independently by the time they are about 8. If you’re looking to start before this, you need to be 100% involved until a secure foundation is achieved. Is Your Child Mentally Ready? I am not a Suzuki teacher per se but I do use and recommend elements of the method, especially for my beginners. If your child finds it hard to concentrate or keep to a task for more than a few minutes, sticking them in a structured violin lesson will probably go further to ruin their love of music than it will to encourage and motivate them to want to become great. Becoming a wonderful violinist requires passion and LOVE for your instrument. I’ve seen many children grow to hate the violin because their parents push them too hard or expect too much of them too soon. Before you commence structured and ongoing lessons, make a judgment whether your child is likely to cope with daily practice and weekly lessons. If you think they’ll struggle, I’d advise you to wait. A great violinist is not necessarily a great teacher and a great teacher may not have the patience or understanding to work with very little children. My first three year old student was my own daughter, Olivia. In hindsight, I can see that I expected far too much of her and did not take into account her decreased ability to concentrate and retain information. Although Olivia is now a wonderful musician, she did not benefit greatly through her early start. There are many wonderful teachers who don’t take students below the age of 6 or 7; it’s important to ensure that a potential teacher has experience working with very young students. Upon meeting, ensure that the teacher engages with your child and makes them feel comfortable; will your child want to come and visit this person each week? Will they want to impress them with their progression and improvement? Do I Have The Patience? Learning any instrument is rarely a complete walk in the park; everyone has lazy days and times when they want to give up. As adults, we can see the benefits of sticking with a task and working through obstacles; children often cannot. During the beginner stages, there are so many ruts to get stuck in and hills to climb. If your child is very young, you’re going to need to climb those hills and navigate those ruts also. When they to bend their bowing thumb for the millionth time, you’ll patiently help them remember. When practice seems like the worst thing in the world, you’ll encourage and motivate. Young children often take longer to learn the basics but to ensure strong technique, you’re going to need to be committed and motivated with and for your child. Do you have the patience to work through these difficult and boring stages? Is My Child Too Young To Start? An early start can mean earlier progression but this isn’t always the case. Jessica is now working on her grade seven exam program and will present as a very competent student. Would she have been at the same standard had she started as a 5 or 6-year-old? We’ll never know. Jessica MAY have benefited through her lengthened exposure to the violin but again, we will never know. As parents, you will have a good idea of whether your child is mentally ready to begin. Guidance from an experienced teacher will also assist with your decision. 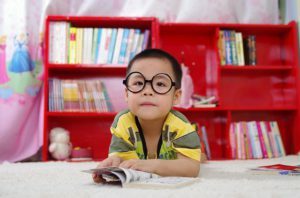 Although I do take on a number of 3 and 4-year-old students, I often find that a later start will be more suitable for the child and their family. 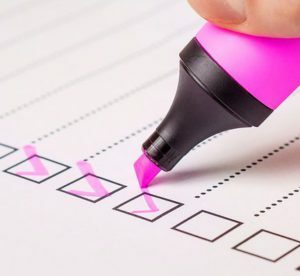 Done properly, an early start can have many benefits, so if you have thought carefully about, and can answer yes to each of the six questions I’ve asked above, Go for it! 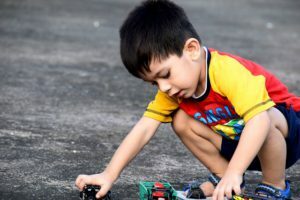 If, however you still need some thinking time or if I’ve posed any problems here, you may want to wait until your child is ready to take on more of the responsibility themselves. Loved your post! And what I admired most is the responsibility you show as a teacher. You have very good knowledge of children and the way they see the world and learn. I for one as a parent, did not find the patience to place my daughter in classes, not necessarily of violin but something that might have served her as an extracurricular undertaking. Thinking about it, my first feelings are of regret but when I give it a second thought, I come to what you state: it may be better to start a little later, especially if you can’t really cope with the time you would have to dedicate to a very young student. I don’t really know what would have happened had she started an activity earlier. I believe that the vast majority of us grow up in families with a range of limitations. We all make the best of things as we advance towards adulthood. However, if my daughter was to start violin lessons at whatever age, I would definitely ask you to teach her! Keep up the good work. Thanks so much for reaching out and providing insight into your own experiences as a father. There’s a saying we have in Australia that goes something like ‘it all irons out in the end’ (or something of the sort). I do find that many students who started at a later age end up being just as competent, and in some cases even more so than those who began when they were 3 or 4. It’s really a personal choice and while I certainly do teach and support young beginners, I rarely promote an incredibly early start. Hi Marketa, thanks for the interesting post! I’ve never considered what needs to be taken into account when deciding on the appropriate age to start playing an instrument. I started playing piano at the age of 7 and I think it was a pretty good age as I could take responsibility of the learning myself and I understood i needed to practice (with some reminders from my parents of course). So with regards to playing piano, do you think it’s easier to start at an earlier age than violin? Thanks so much for your comment. I think that every instrument has it’s difficulties and whether you start with violin or piano, you’re going to find that younger students generally take longer and require more assistance to progress. I found the content provided to be very informative. As a father of two, i think i would let my kids learn how to play the violin. I think its a classy instrument. i will definitely take the pointers given into consideration when i am ready. Hi Maurice and thanks for your comment. You are so right! Although I’ve had many successful students over the years, I am not the right teacher for everyone and not everyone is the right student for me. No matter your age or level, you need to find a teacher who will fit your individual learning style. 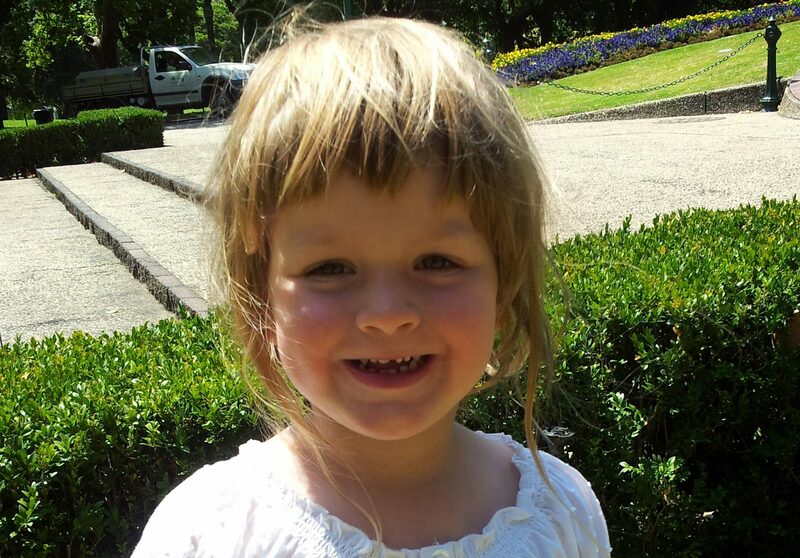 Hi Marketa, And thank you for reminding some of us that as parents we will have a part in this also. Even though as much as some of us want our children to be able to play musical instruments and try to live a little life through there eyes and experience, we have a responsibility to add the stability of patience and commitment to help them thrive through it. Thank you for you helpful and professional advice. I’ve all too often seen well-meaning parents enroll their child in lessons only to practically ‘give up’ themselves within a couple of months. Being a parent to five children myself, I’ve very well aware of the stresses and challenges of raising a family and running a home. Although my eldest daughter began lessons at age 3, none of my other children have followed suit; I am well aware that I simply cannot offer them the same level of attention and help that I did for my eldest. It’s therefore best to wait until they are at an age where I am not as integral in every day practice. Fantastic read on the ins and outs of having the young ones take violin. I had hoped that my son or daughter would be musically inclined but they both prefer to sing. And so I moved my dream back a few years to my granddaughter. She is almost 8 now and much more interested in rocks and fossils so music does not seem to be an option for her. And after reading your advice, I can see that it is not just violin lessons for the child but for the parents as well. This is one article I will be sharing with others, you provide some sound advice and guidelines parents should be aware of. There are so many parents who wish that they’d learned the violin themselves so then pretty much force their children to do so. It’s difficult for a young child to choose an instrument or hobby which is another reason why it is often best to wait a few years until the child is ready to provide their own opinion and thoughts about learning the instrument. Is the Suzuki method the only way to teach three and four-year-olds? I’ve heard that most very young beginners learn this way but I’m more a fan of the traditional teaching style. The Suzuki method is certainly a popular choice for the young beginner but not the only choice. I’ve developed my own method for teaching students up to and including around grade 3 to 4 standard; it combines a mixture of examination material, fun/exciting tunes and many, many technical exercises. I do use elements of the Suzuki method, particularly for younger beginners as it enables us to learn by ear rather than through reading notes. 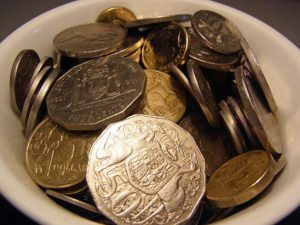 I imagine that the hidden costs and just how much time is required is a major inhibitor for a lot of people an something that a lot of tutors may not necessarily reveal right at the start. It might sound like fun in the beginning but I think children should be told straight away that learning an instrument (especially the violin) takes a lot of time, patience and practice. Thanks for this really useful information. Wow, great in depth article! Love that your passion is for the kids and the families. Not just taking all kids for the money. I played travel softball and was a pitcher. Talk about practice and dedication. Not only by me but my parents as well. Thanks again. Wow! I was never very good at softball but can see how you’d need to demonstrate the same qualities as those who learn an instrument. Oh my gosh! I work at a music school. This is amazing. I totally agree with the post. You have to be a ready parent. While my children started later, I STILL have to help them take responsibility for for their lessons. I showed my boss this article and we’re posting it on our FB page. This is so true and so many students do quit because their parents are too pushy. I was too pushy with my eldest daughter and although she achieved great things and still plays, I wonder if she’d love violin more if I’d have let her enjoy it more rather than work hard towards exams and competitions. So wish I could have picked up the violin at that age. I am starting the guitar now we’ll see what happens! So often I hear adults who don’t play and instrument say exactly that. I’ve never heard an adult musician say that they wish they HADN’T learned when they were younger. If only kids had the insight we do! Great information. I too believe you can’t start too soon. That early exposure may make all the difference down the line. Thanks for the great insights. I’ve found a teacher for my daughter and she seems brilliant but she’s so young. I worry that she won’t have the experience you speak of that is necessary for very young students. What do you think? Young teachers are sometimes the best. I started teaching when I was very young and I was so motivated and excited to see my students each week. If the teacher clicks with your child and you feel that your child will respect and want to please her, then go for it. Do make sure there’s an emphasis on technical development though. Perhaps ask if you can watch someone else’s lesson or attend a recital so you can see how the students play and how they engage with the teacher. GREAT question but something that’s really difficult to answer without knowing your daughter or your family. If you think she’s not coping maturity wise, then stop and try again later. If you think it’s just slow process, then push through. My youngest son started when he was three but was just not mature enough to cope with learning an instrument. We’ve only recently re-started now that he’s almost six and the difference is huge. Best of luck and if there’s anything else I can help with, don’t hesitate to let me know. Great article Marketa, I really like the emphasis you have put on the parents being committed with their time, money and support as they are essential for children to thrive in anything including music. The other point I especially like is the one you make about is the child ready, and willing. To many parents, unfortunately, push their kids into learning an instrument which can turn the child off music forever. Hi Cambell and thanks for reaching out. It’s a sad but true fact that even very talented children will find it difficult to succeed in anything if their parents aren’t supportive of their endeavors. your website is a fresh breeze of air in otherwise uninspiring world of stereotype. 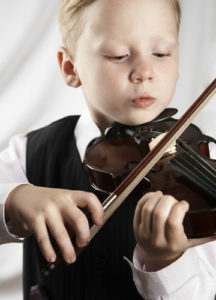 Learning music , playing violin, is very beneficial to a child’s mental development. It strengthens linkages in the child’s brain which are aiding in comprehension and understanding of complicated abstract concepts so important for the future life in the increasingly hi-tech World. I’m so glad you like the website and I certainly agree with what you say. My daughter in law has enrolled my 4 year old grandson in violin lessons and he’s just not enjoying it. He is unable to concentrate for more than a few minutes and really wants to just spend time playing and being a kid. I think it’s going to ruin a potential interest in music. What do you think? If practice is made fun and done regularly at home, most kids start to enjoy their violin time. Perhaps some sticker rewards or shorter practices would be a good way to go. Try doing 2 three to five minute sessions each day instead of one longer session. If your grandson is still not happy, it may be an idea to wait a couple of years. My daughter, who’s now an adult started learning the violin when she was 3. She’s now a professional musician and I truly think that the early start had a very positive impact on her musical development. You may well be right but nobody will ever know! I think that when done correctly, an early start is a brilliant way to ingrain correct technique and fluent playing. Like learning a language, those who are immersed in the language at a young age will become’native’ speakers. Children who are immersed in music from a very young age can become ‘native’ musicians.